A Fired Up Waste Committee! Happy New Year everyone – we hope your year is off to a good start. At SPEC we are excited about the programs and events we are planning for 2015. 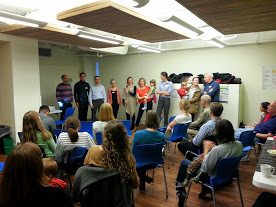 Thank you to everyone who came out to our AGM in December. We hope that you will also come to our upcoming SPEC 45th Anniversary Party, which will take place on Thursday, April 16, at 5:30 PM, at Kitsilano Neighbourhood House, 2305 West 7th Avenue, Vancouver. Mark your calendars – more details will be made available shortly. Thank you to all of the generous supporters who participated in our end-of-year Triple Your Gift Campaign. Our target was $10,000 and we have already hit the $9,600 mark – the campaign does not end until January 31 so, if you haven’t done so already, there is still time to make a contribution and have your donation matched by another generous donor! The generosity of our individual supporters and major funders is very much appreciated – we couldn’t do it without you. 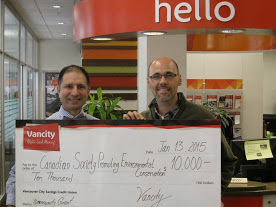 SPEC Coordinator Oliver Lane receives a cheque from Vancity Kitsilano Branch Manager Hormus Karat. What a promising year for the Waste Committee. With new co-chairs, new flat organization and trending projects this small but devoted group of 'garbage geeks' is ready to stir the waste reduction scene in Vancouver. As part of the committee's restructuring, last fall we began an internal 'asset mapping' project. We wanted to explore the hidden resources we had, right under our noses, in our committee members. 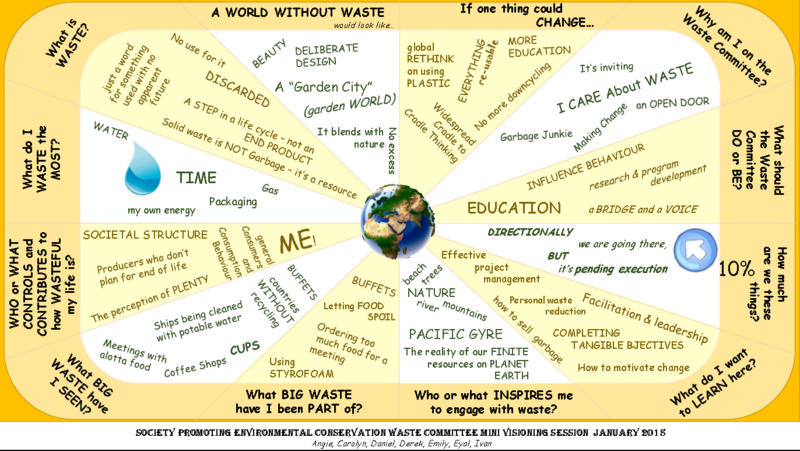 Through our survey 'Getting to know our Waste Committee Members', we found answers to practical and reflective questions about the reason we are so excited to be a part of the zero waste movement. The survey also gave us a chance to ask members what they would like to get out of their volunteering experience, whether it's gaining new skills or feeling like they're making a difference. Waste is not traditionally the sexiest of causes, but this is quickly changing, and it is rewarding to identify what gets us so motivated about this topic and to renew our commitment to the work we do with SPEC. Together with an inspiring visioning session in January and new funding from Vancity we are now beginning an exciting new phase for the committee, and we invite you all to stay tuned. Feel like joining this talented team? Drop us a line at zerowaste@spec.bc.ca. We would love to hear from you! SPEC is always eager to work with volunteers who want to make a positive impact on our urban environment. There are many ways to become involved, be it at one-off events such as beach clean-ups or on one of our committees. Graphic Designer: We need a graphic designer to help us put our Annual Report together and update some promotional material for our Urban Farmer Field School. Work to happen between Feb 1st and Feb 28th. Event coordinator: We need somebody to help us coordinate monthly events starting in the spring and throughout the summer (volunteer appreciation, movie nights, outreach in the community). Videographer/editor for the Zero Fossil Fuel video series. If you have some solid experience with filming, lighting and sound recording and would like to help we'd love to chat with you! For more information or to apply, please contact volunteer@spec.bc.ca.